Participating in workshops at Andy's Summer Playhouse grants the opportunity for young artists to gain a deeper sense of self and a greater awareness of the many elements that come together any time new works of performance are created. CHILDREN Can Enroll in individual weeks, or all 6 weeks TOGETHER! See below for our workshop packaging. DEVISING Theatre: Discover the process of creating original work, all while getting to be a leader within the creative process. This workshop will help you gain tools of collaboration and strengthen communication skills, all while brainstorming new and experimental ways of performing. 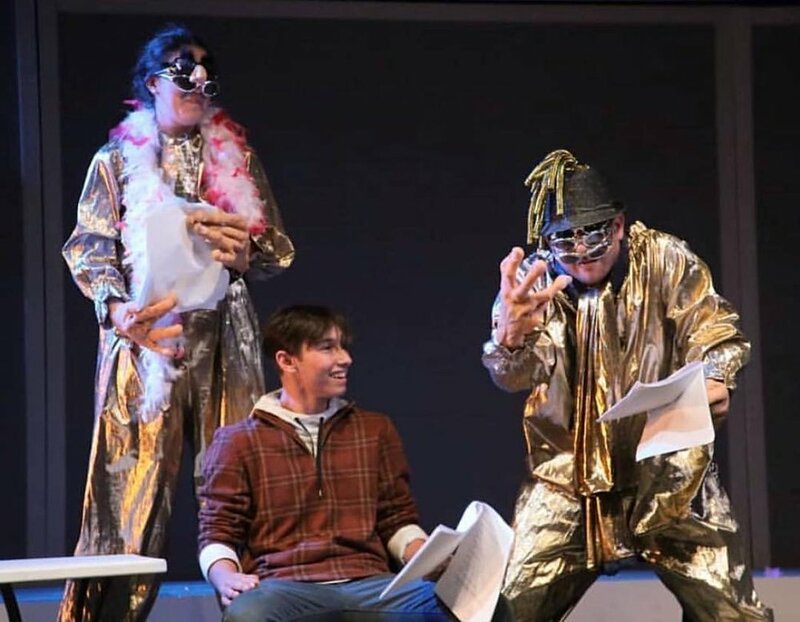 PLAYWRITING: A chance for aspiring writers to be mentored by theater professionals and produce their own short scripts to be performed by Andy’s kids at the end of the season, during the Andy’s Academy performance on Monday, August 12th at 7:30pm. These emerging writers will learn about narrative structure, action and objective, and how to express ideas theatrically. DIRECTING: A chance for aspiring directors to be mentored by theater professionals and direct scripts created in the Playwriting Lab, or short plays written by professionals. These are to be performed by Andy’s kids at the end of the season, during the Andy’s Academy performance on Monday, August 12th at 7:30pm. These emerging directors will learn about narrative structure, action and objective, and how to express ideas as a director. FILMMAKING: The Film Workshop is an opportunity for young filmmakers to work for several weeks with professionals and learn how to create storyboards, act for the camera, film, edit, and collaborate as a team of filmmakers discovering what it takes to create a short film. From pre-production through post-production, join us in creating our next Oscar nominees. Puppetry/Object Performance: In this puppetry workshop, participants will use VHS tapes, slide carousels, cassettes and film strips as a launch pad to explore how memory is stored in something other than ourselves. This workshop will be an exploration into the idea of how memories can be embedded into old technology and physical objects. VOICE AND Text: Participants will use text from Romeo and Juliet and explore how differences in physical location and vocal technique can change the tone and intention behind the classical text. A great workshop for any performer looking to add more tools to their actor toolkit! At the end of every season, we hold a one-night Academy Performance where Workshop Participants perform acts that best represent their work throughout the summer. These acts often include staff members and allow for the children and the adults to come together and celebrate the summer’s accomplishments and have a whole lot of fun together!